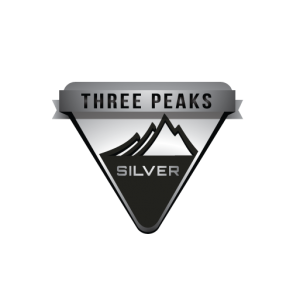 The Silver Three Peaks Challenge package is our most popular option for groups. Starting in Fort William, the first challenge is the brooding mass of Ben Nevis. On completion we head directly to the Lake District for phase two, Scafell Pike. Again, on completion we head off for our final leg, up the steep slopes of Snowdon in Wales. Sleeping and eating are attempted in the vehicle between mountains making for a tough Challenge in every sense! This package can be tailored to suit your requirements and can take place on a date to suit you and your team. Day One/Two – (All timings are flexible) After collection from Glasgow Airport or railway stations we aim to arrive in Fort William in time for a good night’s sleep! After breakfast and a full safety briefing we head to Glen Nevis for the start of your Challenge, normally around 0800 hours. As you set off the stopwatch starts! From here on in the timings will depend on your efforts on the mountains. Ben Nevis should take around five hours. On completion we have a quick change of clothing, and grab a packed lunch and make ourselves comfortable in the vehicle before heading to the Lake District for the second peak, Scafell Pike. This proves the most difficult phase as, depending on the time of year at least part of it will be completed in the dark! Headtorches are a must as you follow your Mountain Leader up the rocky slopes to the summit. On return to the team transport, hot drinks await you and after a quick change we depart for Wales. On arrival in Snowdonia early on day 2 we head through the Llanberis Pass to the foot of Mount Snowdon. This final leg will be completed in daylight. On completion the clock stops and you will be given your total time for the entire challenge. Successful teams will each receive a certificate of achievement before we head back to the vehicles for local transfers. We normally advise teams to take the train home from Llandudno Junction or Chester railway stations, where we’ll drop you off. For those wishing to stay the night locally accommodation can be arranged.